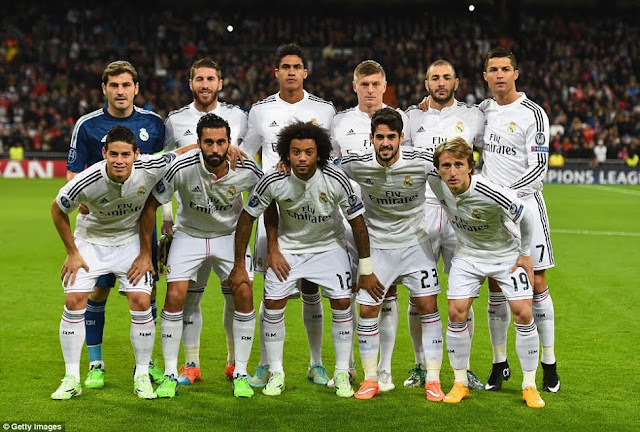 Real Madrid striker Cristiano Ronaldo is so vain that he stands on his toes at every photoshoot with his teams. 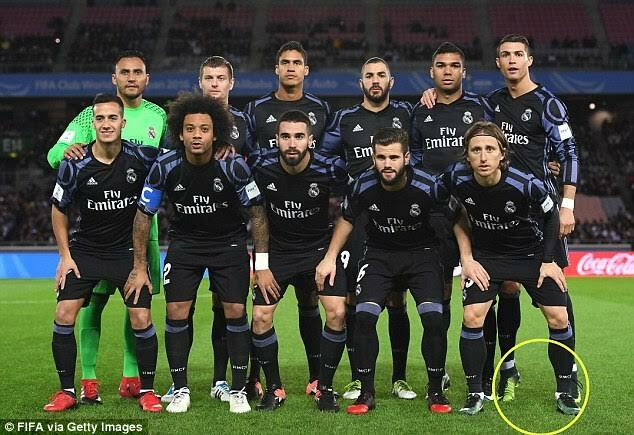 It is not as if he is a short man,at 6.1 ft tall he can stand proudly as a tall man.But yet again in his most recent team photo during Real Madrid's win over Club America in Japan on Thursday in the ongoing FIFA Club World Cup,he stood on his toes. 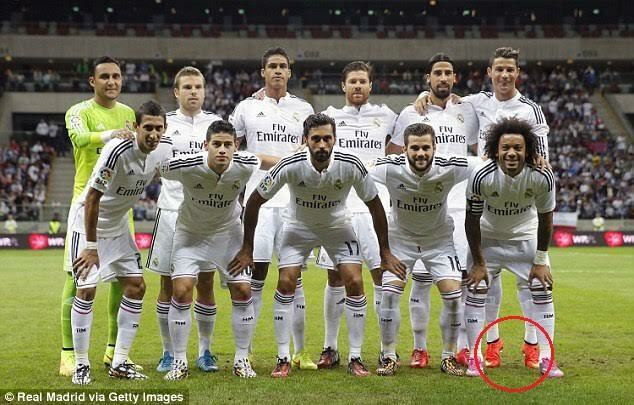 This isn't the first time the World's most famous athlete is pictured standing on the tip of his toes, during photos. Even old pictures of him as far back as 2002 in one of his first clubs (Sporting Lisbon) in Portugal, shows him standing this way during team photos and that leaves one wondering why he does that. 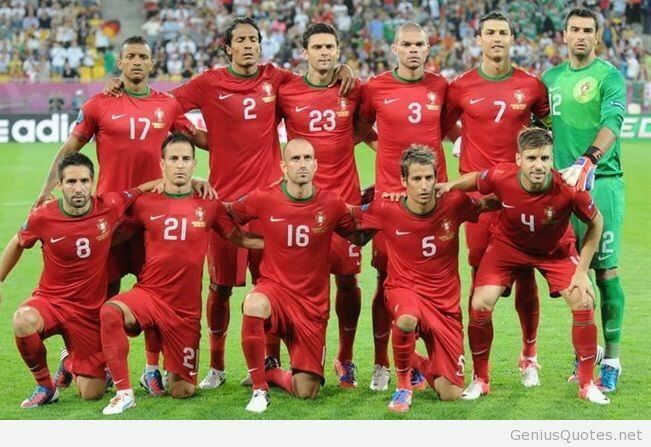 Why do you think he does this? 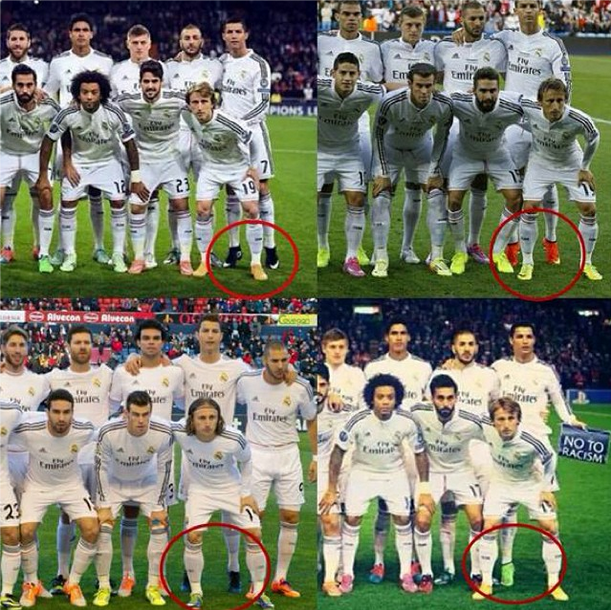 See more photos showing him standing the same way below..